I had found that theory was a superpower in helping one get what one wanted, as I had early discovered in school where I had excelled without labor, guided by theory. While many others without mastery of theory, failed, despite monstrous effort. 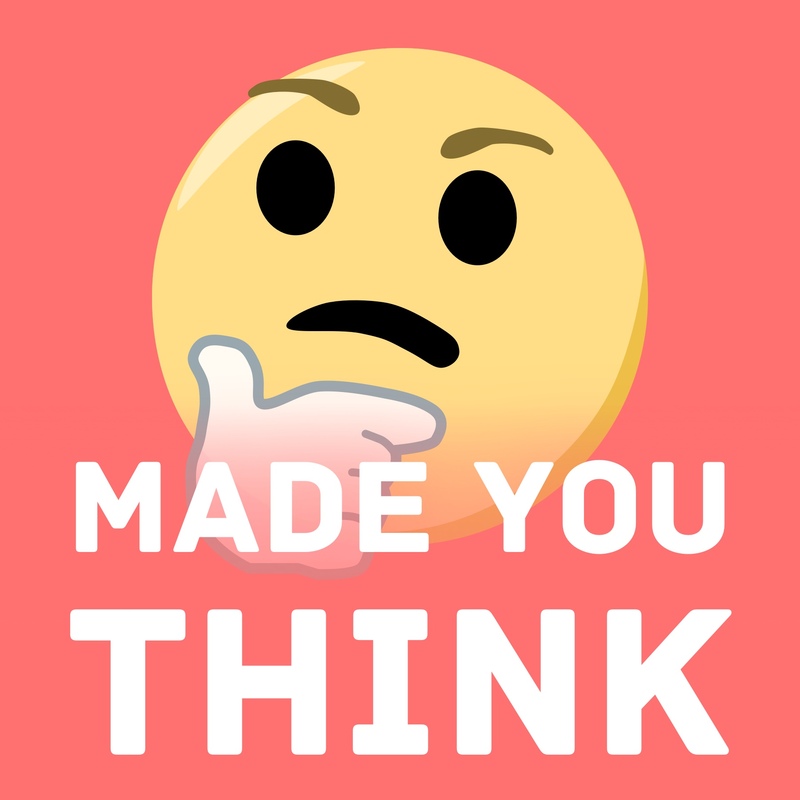 In this episode of Made You Think, we discuss The Psychology of Human Misjudgments. This was a “speech” compiled by Charlie Munger from three other speeches he gave, digging into a toolkit that he uses to make sure he’s not being fooled by his mental biases. He digs into each of the 25 biases that adversely affect your thinking in work and life, and how we might watch out for them in order to make better decisions ourselves. We managed to dig into *almost* all of them during the show. A list of all 25 cognitive biases can be found here. The 25 cognitive biases that lead to poor decision making. Breaking down each of these biases and applying them. How these biases can positively or negatively affect everyday life. Benefiting from these biases and noticing yourself using them. And more. Please enjoy, and be sure to check out The Psychology of Human Misjudgments! If you enjoyed this episode, be sure to listen to our episode on Antifragile by Nassim Nicholas Taleb, to learn how to profit from chaos, and our episode on How to Think Like Elon Musk, to learn how to emulate Musk’s way of thinking for extreme advantages. Be sure to join our mailing list to find out about what books are coming up, giveaways we're running, special events, and more. 0:00 - Introductory quote, a bit of background on this episode, and a bit on the author Charlie Munger. 4:46 - How the speech is basically structured and what the goals of the speech are. 17:12 - The second of the 25 cognitive biases, the liking and loving tendency. “If they love this person, they will gloss over the bad parts.” (Tangent at 19:10) Some thoughts on the psychological influences in various mass shootings such as tumors and neurological issues, and on mass shootings in general. 25:34 - The third cognitive bias, the disliking and hating tendency. “However we feel about something or someone, we will distort the facts either to make us feel stronger positively or stronger negatively.” Also, some discussion on net-neutrality, various monopolies, and some thoughts on Netflix. 31:19 - Further discussion on the disliking and hating tendency bias, and some thoughts on cognitive foundations that we have which are based on irrational things. 34:57 - Number four, the doubt avoidance tendency. Some examples of this. 37:03 - Number five, the inconsistency avoidance bias. Giving favors to people that may dislike you, to make them lean towards liking you and be consistent. Some other examples of this, as well. Tangent at 41:30 on the cognitive dissonance with cosmetic companies and animal testing. 43:55 - Number six, the curiosity bias and number seven, the conscient fairness tendency (how no fair world exists). Some examples of this. Also, a bit on the fundamental attribution error, in which perceive people to be inherently bad if they do something wrong. 47:10 - Number eight, the envy/jealousy tendency. Where we tend to get envious and jealous whenever other people have good things happen to them. Some examples of this. 50:40 - Number nine, on reciprocation. Where if someone does something either bad or good to us, we want to do the same to them. 55:30 - Tangent on the 10,000-hour rule and how experience doesn’t equal skill or work proficiency. A bit of discussion on Ericsson’s original research that led to Gladwell’s 10,000-hour rule theory. 59:47 - Number eleven, simple psychological denial. Distorting the facts until they become bearable for our own news. Number twelve, excessive self-regard. Also, a bit on the Tolstoy effect that happens with criminals and the natural tendency to ascribe the best notions to our actions. Drug usage within sports and bodybuilding discussed here, as well. 1:06:17 - Tangent on the rumor of Michael Jordan taking his year off to play baseball, but actually being secretly suspended by the NBA. Also, how some schools will try to get rid of the mentally ill, to avoid having a suicide case on their hands. 1:08:32 - Number thirteen on over-optimism. Being overly optimistic towards things that you want to happen. Number fourteen, the deprival super-reaction tendency. Acting with an irrational intensity to recover anything of value that was lost. Some thoughts on bitcoin here, as well. 1:13:37 - Number fifteen, the social-proof tendency. The tendency to think and act like others who are around you. 1:17:22 - Seventeen, the stress influence tendency. Stress causing extreme reactions, bad decisions, and dysfunction. Eighteen, availability misweighing tendency. If something is clear in our minds, we tend to overweigh its significance. 1:18:54 - Skipping ahead to number twenty-five, the Lollapalooza tendency, where all of these effects combined come into play. Also, some funny examples of various biases coming into play. 1:23:21 - Wrap-up and some information on the podcast, podcast feedback and reviews, the newsletter, and giveaways.